We are totally into this whole personal fitness tracker thing. We have been diligently wearing our Jawbone Up for months now, and we have loved having a set of gauges so to speak for our daily fitness regimen and routines. However, while we have enjoyed the Up, we have a couple of gripes, durability being one as one of us is on their third one, and another on their second. We also lament the lack of Bluetooth compatibility and any visual interface. 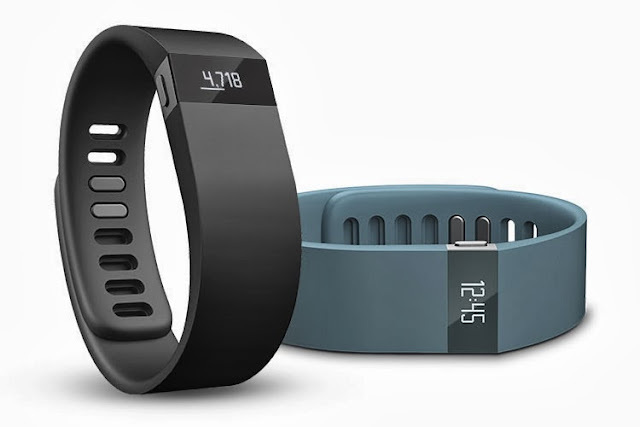 We now turn our sights onto the Fitbit Force, which has all the great features of the afore mentioned Up, like sleep and sleep quality tracking, active time, steps, and calories burned. Where it shines though is the a built in altimeter so it can track floors climbed; it has Bluetooth connectivity for any iPhone 4S running iOS 7 or Samsung device; and our favourite, an OLED display that can be used as a watch, ramping up the multi-function of the Force to near perfect levels. You can see and learn more here.